Modern Yachts has three locations on eastern Long Island to server you better! Located in the heart of North Fork Boating Country, Modern Yachts Mattituck provides access to gorgeous Peconic bay. From Wading River to Orient Point and all points in between, our service department provides mobile repairs to the entire North Fork. 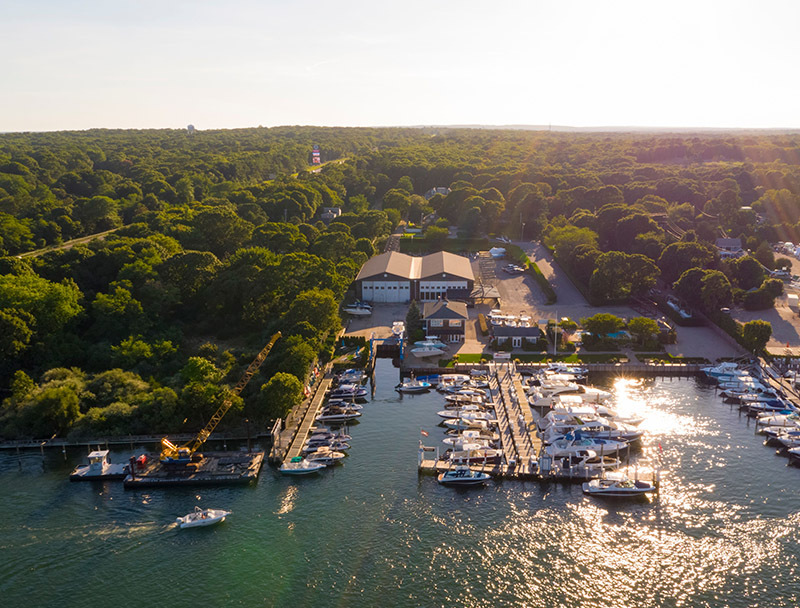 Nestled at the head of James Creek in Mattituck, our 30-slip marina provides quick and easy access to the best destinations in Peconic Bay. Our team of Mercury, Mercruiser and Yamaha certified technicians provide unsurpassed service for the entire North Fork. With an on-site hauling ramp and a full service shop, our Modern Yachts crew in Mattituck will make sure you never miss a weekend. Ready to get back into boating or trade up from your current boat? Visit Rob Bourguignon across from the service center on Main Road in Mattituck. Our Indoor/Outdoor display houses the best that Sea Ray, Edgewater, and Cobia Boats have to offer. And our unique Sport Boat Display has everything you need to hit Peconic Bay and fish, Ski or cruise your heart out! When you're ready to put your boat away for the winter season, our Ambassador Award winning service team is standing by to provide all of your winter service and storage needs. With our specialized hydraulic trailers and fleet of dedicated service vehicles, no haul or transport is too large for Modern Yachts. Contact Mattituck for available indoor or outdoor winter storage/service and experience why we are the premier North Fork dealership and service center! Modern Yachts is proud to announce the addition of our Hampton Bays, Shinnecock Canal Facility. Situated directly between our Westhampton Beach and Mattituck locations, Modern Yachts Hampton Bays allows us complete coverage of Eastern Long Island for our customers. Located on the world famous Shinnecock Canal, north of the Shinnecock Locks, Modern Yachts Hampton Bays provides quick and easy access to Peconic Bay and Shinnecock Inlet. Our state-of-the-art 4-acre facility boasts a 50-slip marina capable of handling up to 60-foot vessels. Equipped with dual fueling stations, full time service floats, transient slips and a Marine Travel-Lift, Modern Yachts Hampton Bays provides accessibility and service for boats of any size! Our yearly dockage and transient customers enjoy the best that East End boating has to offer. With a heated pool, indoor/outdoor showers, bathrooms, changing rooms, a gorgeous picnic area and access to some of the East End's best restaurants, our Hampton Bays marina offers the best in boating lifestyle. With a full indoor/outdoor sales display, Modern Yachts is proud to showcase the full line-ups of both Sea Ray, Edgewater, and Cobia boats. Visit Matthew Levy at our Hampton Bays location featuring in-water demo days, docking seminars, restaurant access and dine-arounds. When it comes to service, our Hampton Bays Service Manager Brian Frezza has the experience and crew to provide you with trouble-free maintenance and storage. 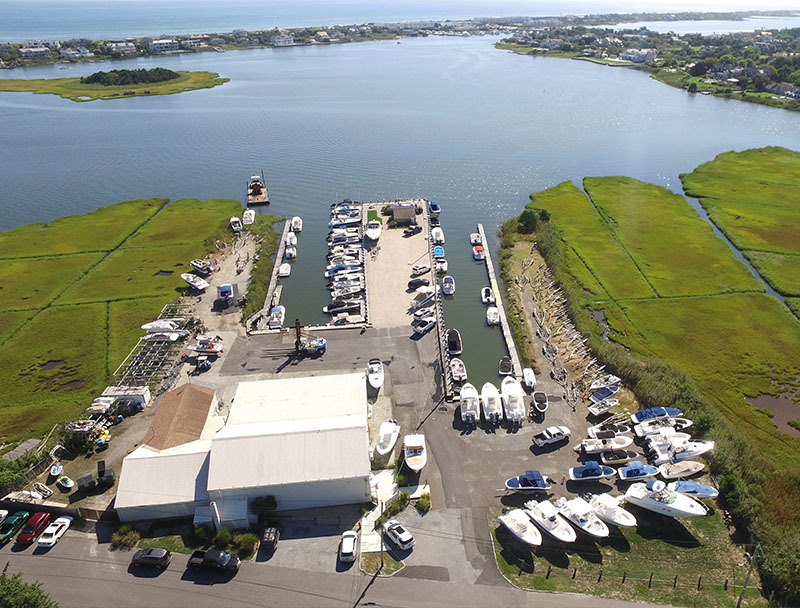 With twin indoor storage facilities for up to 50-feet, and outdoor storage for up to 200 boats, Modern Yachts in Hampton Bays can accommodate all of your winter storage needs! Modern Yachts of Westhampton Beach has been servicing the East End of Long Island since 1967. With over 40 years of boating and service expertise, our Westhampton location is prepared to provide the best experience for every boater. 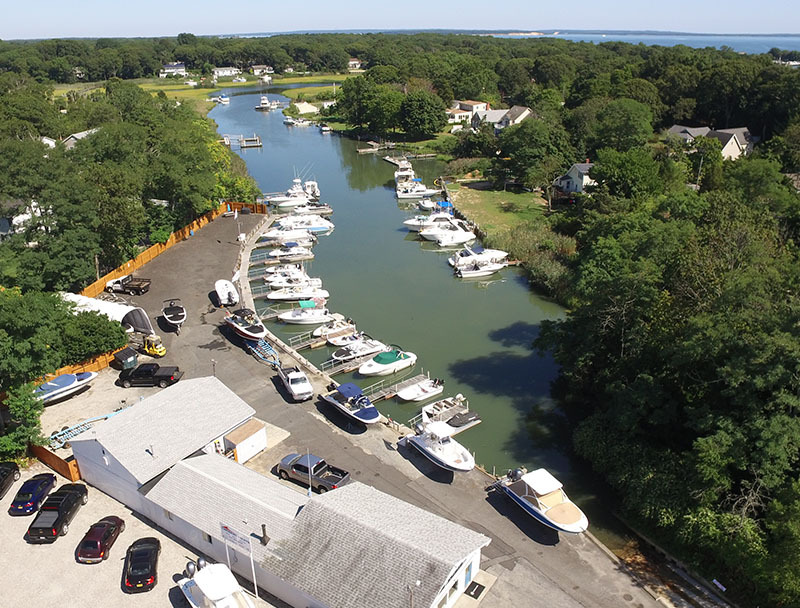 Located in the heart of beautiful Westhampton Beach, our 40-slip marina provides easy access to Moriches and Shinnecock Bays and Inlets. Experience the ease of our in-season 7 days-a-week fueling services and while you're here, visit our expansive ship store, offering everything from the latest tubes to a full array of cleaning and maintenance supplies! With both an indoor and outdoor display area, Modern Yachts Westhampton has the craft to fit anyone's boating style. From sport boats to sport yachts, let Sales Manager Matt Vastola be your guide as you explore everything that Sea Ray Boats have to offer. As the exclusive Sea Ray Ambassador Dealership for Eastern Long Island, Modern Yachts has the know-how to help find the right boat for you and your family! Is fishing more your style? As the exclusive Eastern Long Island dealer for Edgewate and Cobia, we'll get you "hooked". We encourage you to let Matt Vastola show you our strategy to exceed the customer's expectations in every way." At Modern Yachts we understand the importance of your experience AFTER you've purchased a boat from us. Service Manager Mike Brown and his service team of Mercury, Mercruiser and Yamaha certified technicians are ready to make your boating season and off-season trouble-free. With two dedicated service slips and mechanics on call Monday through Sunday, our team is prepared to "save" your boating weekend! And when it's time to winterize your boat, let our service staff provide you with our complete winter service package. With winter storage for over 350 boats, we know what it takes to keep your boat looking and running perfect.